Aiming to achieve consistent and appropriate light levels throughout their store, the Southern California grocer found an ally in FSC Lighting and an answer in the L- BAR. The energy conscious retailer de-lamped four 4’ T8 eight foot fluorescent strips to one lamp cross sections and in doing this caused shorter lamp life, accelerated lumen depreciation which increased the store’s maintenance costs. This also caused more energy consumption than anticipated. FSC Lighting’s L-BAR replaced the linear fluorescent fixtures on the sales floor, slashing the operating cost of its entire retail space while enhancing the visual appeal of their product on shelves including vertical light levels on the bottom shelves. 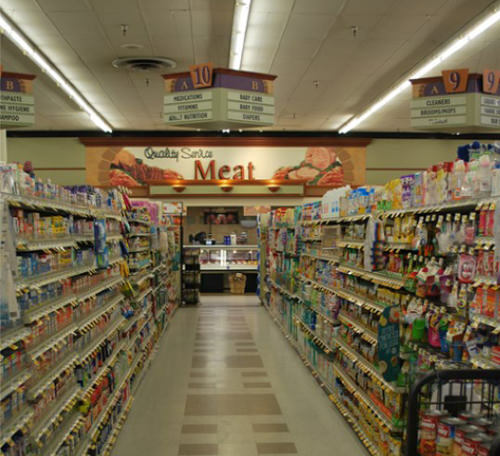 By replacing two fluorescent lamps consuming 69 watts with FSC’s 28 watt L-BAR Strip, Stater Bros. will use 91,827 fewer kilowatt hours (kWh) per year, an annual savings of approximately $13,315. The long life of the L-Bar system will also contribute to significant reduction in maintenance costs by nearly eliminating the staggering expense of group re-lamping and on-going spot re-lamping. Step Dimming & Task Tuning- Requires businesses to have at least one of the following types of controls; Manual continuous dimming with on/off control, lumen maintenance tuning, or automatic daylight controls. Auto Demand Response Ready– Requires all non-residential buildings of 10,000 square feet or larger to be capable of automatically responding to a DR signal from the utility. This response to the signal causes the total energy use for lighting to automatically drop to a level at least 15% below the building’s maximum total lighting power capacity. The lighting levels are reduced in a manner consistent with requirements for uniform illumination levels. Since Stater Bros has implemented a dimmable lighting system at their San Dimas, CA store, they now have the ability to task tune their lighting for approximately the next several years. This means that during the early morning store hours as well as the evening store hours they will be able to set their lighting system at approximately 60% of full light output and save an additional 40% in energy. 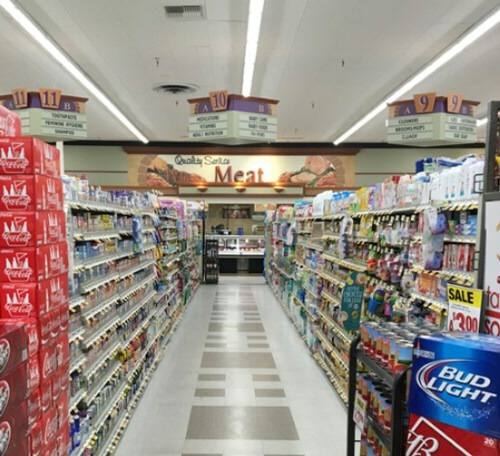 When lumen depreciation begins to take place Stater Bros can slowly increase their energy consumption, but they will maintain their light levels throughout for the life of the store. This is a paradigm shift from typical lighting maintenance programs. FSC helped this major grocery retailer save 68% on lighting costs and increase the visual appeal of their products.